Worn to reflect your enduring love and commitment through the journey of marriage, Shimansky carries an exclusive range of diamond wedding rings for women and mens wedding rings crafted in platinum, 18K gold and palladium. The promise of lifelong love and partnership captured in a unique Shimansky design. 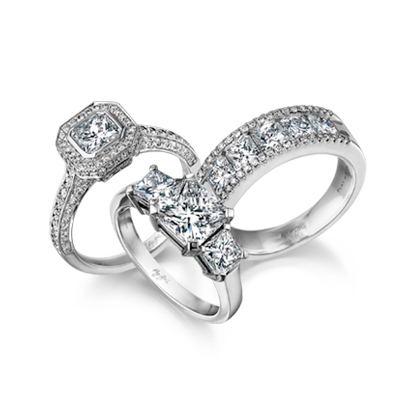 Discover more about Shimansky Wedding Jewellery.